Kwittken won the account after a competitive review. 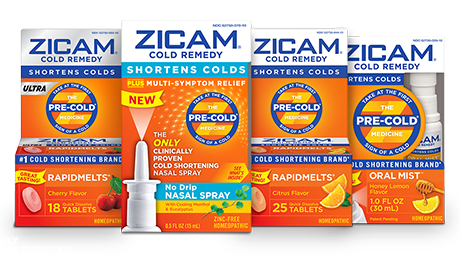 NEW YORK: Zicam has brought on Kwittken as communications AOR for its over-the-counter cold, allergy, and sinus symptom relief and treatment products. Kwittken’s services include media relations, content creation, and influencer engagement, according to a company statement, and the firm will roll out an integrated communications program. Aaron Kwittken, CEO and global chairman of the eponymous firm, said the team out of New York is taking on the work "from an omni-channel standpoint," including earned and owned media, brand integration, and sponsored and influencer content. Kwittken was selected to handle PR following a competitive review, Kwittken confirmed, and the firm will collaborate with Zicam’s advertising AOR, Protagonist. Kwittken began working on the business in March. It was not immediately clear whether Zicam worked with a PR agency prior to bringing on Kwittken. With more eyes than ever on the consumer healthcare space, Kwittken explained that the team will focus on creatively turning the over-the-counter company into more of a lifestyle brand. The firm has experience in both the healthcare and lifestyle sector, along with a history of identifying "new ways to make [brands] viable to certain audiences," he said. Zicam is well-known among consumers, said Kwittken, so the brand’s "huge enthusiast base" could be beneficial to the firm’s efforts. He added that the agency wants to "find [Zicam fans], activate them, and get them to help continue to propel the brand." Financial details of the account were not disclosed. Last year, Kwittken was named AOR for American Express’ international global business travel division in the US, UK, France, Canada, and Australia.